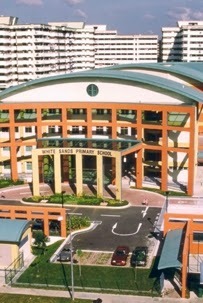 White Sands Primary School is located at 2, Pasir Ris Street 11 in Singapore 519075. It is enclosed within the Pasir Ris Region. Pasir Ris is a residential area that is situated at the eastern section of Singapore. It is composed of high-rise residential houses built by HDB. Nearest MRT is Pasir Ris MRT and the closest bus interchange is Pasir Ris Bus Interchange. Amenities in the area include Loyang Point, Tampines Mart and White Sands Shopping Center. Some of the schools close by are Loyang Secondary School, Greenview Secondary School and Dunman Secondary School.